To celebrate, why not light a candle? You will need something to put your lovely candle on, right? 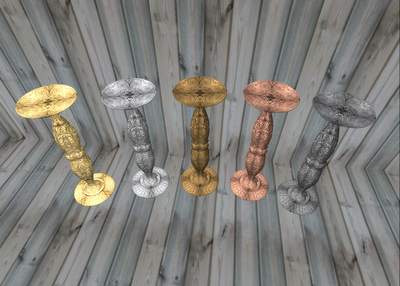 How about a beautifully hand-crafted filigree candlestick? These will be available in gold, silver, bronze, copper and pewter very soon! Upcoming - candles to place on these and other matching pieces... until then, I hope your New Year is full of love, fun and learning!